“Hearken to my voice, O Lord when I call; have mercy on me and answer me. You speak in my heart and say, ‘Seek my face.’ Your face, Lord, will I seek.” (Psalm 27:10-11 The Book of Common Prayer, p.618). The foundational spirituality of Benedictine Monasticism is to seek union with God through a life of continuous prayer. St. Benedict would have learned about seeking God from reading about the Desert Monastics like St. Antony and St. Moses who passed the spirituality on to St. John Cassian. That being said, the famous motto of Benedict Ora et Labora (pray and work) are the means to seeking union with God. Benedict taught his Monastics that prayer is essential to living a holy life, but that prayer was to be integrated with one’s everyday life and work. “A swimmer plunges into the water stripped of his garments to find a pearl: a monk stripped of everything goes through his life in search of the pearl–Jesus Christ; and when he finds him, he seeks no longer for aught existing beside him” (Seeking God; The Way of St. Benedict, Original Edition by Esther de Waal, p.25). Contemplation is seeking union with God through the life we have, not the life we want. The way forward to finding God’s will and holiness is being made in whatever situation or place we find ourselves in at this moment. We can spend a whole day looking for a reason why, but, we will still come back empty and hungry. “O God , you are my God; eagerly I seek you; my soul thirsts for you,,,,” (Psalm 63:1). Are you seeking God in your life at this very moment? If you or someone who know could benefit from Spiritual or Grief Companionship, please visit my website link here. “Out of the depths have I called to you, O Lord; Lord, head my voice; let your ears consider well the voice of my supplication” (Psalm 130:1. The Book of Common Prayer, p.784). “Pray inwardly even if you do not enjoy it. It does good, though you feel nothing. Yes, even though you think you are doing nothing” (The Breath of the Soul: Reflections on Prayer by Sr. Joan Chittister, OSB, p.83). 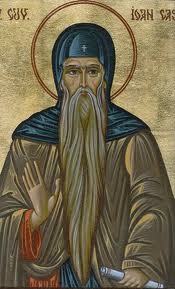 In the Ninth Conference on Prayer in The Conferences by St. John Cassian, St. Isaac identified three kinds of prayer. 1. Supplication. 2. Intercession. 3. Thanksgiving. The kind of prayer envisioned by the Psalmist comes from the depths of the heart. The prayer of supplication means a recognition of our helplessness. In that helplessness, we know that God is our only hope. Prayer is about deepening our relationship with God. Prayer that strengthens our intimacy with God is not about getting something we want. It is about letting go of what we are holding on to. It is the act of turning ourselves over to the will of God, without wanting to control the outcome. Contemplative prayer is a search for union with the God-Life within us and all around us. It leads us from the depths our hearts, to the awareness that God is interacting with us in the here and now. God’s mystery can be experienced, but, not explained. God’s presence is tangible, yet unattainable by our senses. Jesus is our Bread of Life and Cup of Salvation. Through Jesus, the depth of our hunger is known and acknowledged. Through Jesus, what we long for is worth the longing. “For God alone my soul in silence waits; from him comes my salvation” (Psalm 62:1, The Book of Common Prayer, p.669). “We must know that God regards our purity of heart and tears of compunction, not our many words ” (RB 1980: The Rule of St. Benedict in English, Chapter 20 Reverence in Prayer, p.48). Are you in touch with God from the depths of yourself? If you feel led to buy me some coffee, please scroll down to the bottom of the right sidebar and click on the Benedictine Coffee Mug. Thank you so very much. O God, make speed to save us. O Lord, make haste to help us. (The Book of Common Prayer, p.117). Not without reason has this verse been selected from out of the whole body of Scripture. For it takes up all the emotions that can be applied to human nature and with great correctness and accuracy it adjusts itself to every condition and every attack. It contains an invocation of God in the face of any crisis, the humility of a devout confession, a consciousness of one’s own frailty that assurance of being heard and confidence in a protection that is always present and at hand, for whoever calls unceasingly on his protector is sure that he is always present. It contains a burning love and charity, an awareness of traps, and a fear of enemies. Seeing oneself surrounded by these day and night, one confesses that one cannot be set free without the help of one’s defender. (Boniface Ramsey 1997, Newman Press, Page 379). It is amazing how the things that we do out of a routine affect us without being aware of the good it is doing us. After praying The Offices day in and day out, the verse by which we begin Morning or Evening Prayer just rolls off our tongues. Abba Isaac wrote about the power of these words from the days of the Desert Fathers and Mothers. They faced physical dangers far more severe than anything we can imagine. Today, in that same part of the world in which St. John Cassian would have lived, the Coptic Christians still face massive persecution for their faith. God never said that we would have to face all of our trials, temptations and challenges alone. God promised that God would be with us. God will come ever more closer to us, however, when we call upon him with our lips and hearts open to accepting God’s abiding presence. Jesus will always come and sup with us, when we open our doors to Him in faith.